ATC prepared a video presentation of the inCASA project, in which there are demonstrated the goals, the organization, the target users, the technology used and the involved human resources of the Italian pilot. The produced video about the ATC pilot is a very useful tool for the dissemination of the project - aiming at facilitating the acceptance of the technological solution. ATC provided merchandising material (Mug, pen, T-shirt and block-notes with inCASA Logo) for free to elderly people involved in the video production. The video can be viewed at youtube! 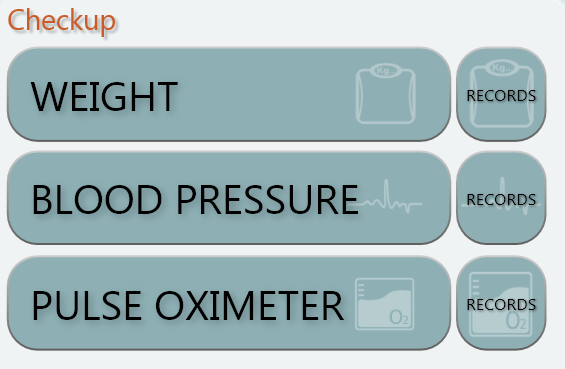 Even if not all Pilot requirements are identical, a strong common set of requirements has been compiled along with common intervention protocols. NTUA participated in the 2nd annual international telehealth and telecare congress, which took place in London between 6-8 March 2012. Andrew Kapsalis made a poster presentation about the inCASA project and the features of its platform which combines Telecare and Telehealth services to assist the well-being of elderly people at their own homes. National Technical University of Athens joined the AAL Forum 2011 (26/9-28/9) that took place in Lecce, Italy. Konstantinos Papadopoulos made a poster presentation about the inCASA project vision and the unique features of the inCASA platform that enable the provision of integrated Telehealth and Telecare services to elderly people. Santer Reply joined an Italian Initiative on ICT for Elderly and Disabilities. 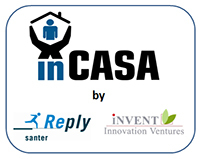 Fulvio Marchetti presented the inCASA project on 27th october, on an Italian Event called "Innovabilità" . This is a cycle of seminaries on various topics related to elderly and disabilities organized by a Local Public Authority: The Province of Milano. During the Event the inCASA project presented the vision of the inCASA project and the inCASA basic set for habits monitoring. Prof. Dr.-Ing. Axel Sikora from Steinbeis Innovation Center Embedded Design and Networking (sizedn) has presented a paper on “Wireless Network and Gateway Architectures for Home Care Applications” at the 6th IEEE International Conference on Intelligent Data Acquisition and Advanced Computing Systems: Technology and Applications (IDAACS 2011). Steinbeis Innovation Center Embedded Design and Networking (sizedn) has presented a paper on the inCASA project with the title “Pilot Installations for Combined Telecare and Telehealth Services” at the Biomedical Congress of the German Association for Electrical, Electronic & Information Technologies (VDE). The inCASA project conducted a succesful General Assebly Meeting in Rome, Italy on the 11th and 12th April 2011. It targeted various administrative issues as well as an extended discussion and planning on the Pre-Pilot Phase start. The main outcome of the meeting was that the pre-pilot phase was extended to 4 pilots in total (English, French, Italian and Greek pilot) to improve the quality of the testing phase of the project.